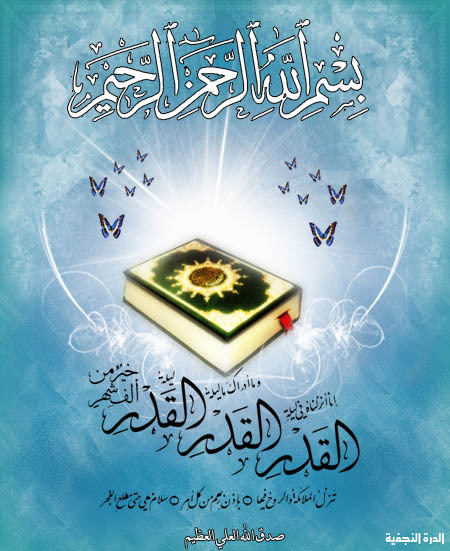 97: 3 – Laylatul Qadre khairum min alfe shahr. As soon as you enter into the ninth Month, you are entering into the oceans of submission. And what Allah (aj) wants for us is to reach that ni’mat and the ultimate dress of rahmah (mercy) is sawm Ramadan (fasting of Ramadan). It means you begin to fast because that dress is not something we can achieve by amal (action). It is the highest reward for a non-action ‘amal. Allah (aj) says, I want to dress you from these realities, don’t do anything. Make now an abstinence from everything so that we can dress you from these powers and these qudrats. 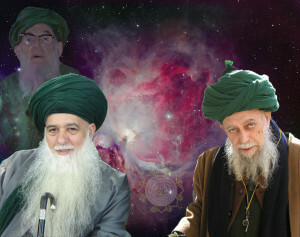 Then Mawlana Shaykh is teaching that Suratul Qadr (Quran, chapter 97) for Lailatul Qadr (the Night of Power). 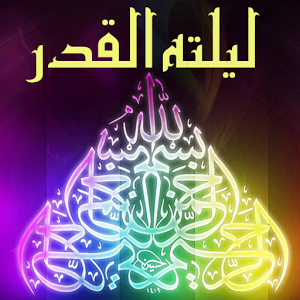 It means lailatul Qadr ليلة القدر has nine letters. Allah (aj) is teaching us within holy Quran, these nine letters represent the reality of that nine that we’re trying to reach in the Qadr. Lailat al Qadr, in the surat is 9 huroof (letters). “We have brought it down on the night of power. It means that those nine letters (lailatul Qadr) appears three times in that Surat. 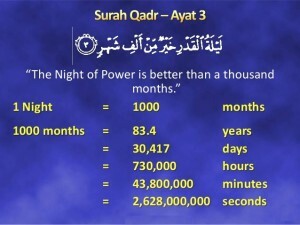 (Surat al Qadr). Allah (aj) wants us to know. It is all coded; that nine times three is twenty-seven, It IS on the 27th of Ramadan. Because it is a baab, it is a gate. That 27 has a tremendous secret, it is the reflection of heavenly gates which is that 72. And both of them 2 two-plus 7 become 9. Everything, what you call it, every component, every multiple of 9 reduces itself back to nine. It means the fusion with this bahrul Qudrat (Ocean of Power), with this entity of Muhammadan light is so powerful that anything that multiplies, multiply is the reality of fusion. When you multiply yourself by that number it will reduce itself back to that number. 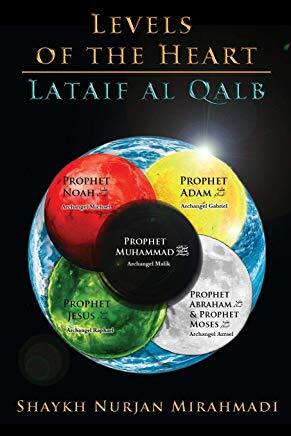 It means what you multiply to the ocean; when you come to the fana (annihilation) in this bahrul Qudrat, which is the Muhammadan light, anything that enters into that will reduce itself to the Muhammadan light. That’s why One light plus One light is one light. There can’t be 2. The world the form has multiple. The world of light, it always goes back to Allah’s oneness. La ilaha ilAllah, we can never reach. Is manifestation its is mirror image is Muhammadun Rasolullah. It means Allah (aj) wants to dress us from these realities. For us it is to understand that everything is perfectly numbered. And the gate that you’re looking for is based on 27. 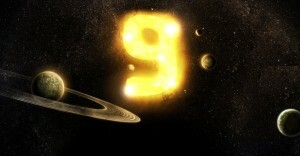 Every month has three Nines; the 9th of the month, the 18th of the month, and the 27th of the month. It means they are 3 Qadrs in every month. Because every month has its tajali (manifestation), every month has its reality, and every month has its huroof (letters). Every day of every month has a huroof. 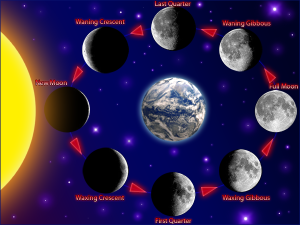 The white days are the beginning of the month moving towards the fullness of the moon. The dark days after the fullness of the moon, are the retreating of the moon from the light of the Sun. Means and the waning of the moon, because that light is going. They are teaching us that in every month there are three qadrs (powers). Then what Prophet (saws) described for Ramadan, that the first 10 days is a mercy. Why? Because that’s the first Qadr. Up to the first nine you have been dressed from the bab ur Rahmah (gate of mercy). The Babur Rahmah, that they taught us in Surat ut Tawba (chapter of Repentance), Surat number 9. Because now this is from the realities of Ahlel9; the people of Qudrat and Power. That Allah (aj) is dressing from Tawba (repentance), because you have to make a tawba. And there is no “Bismillahir Rahmanir Raheem” in Surat ut Tawba. It means “Bismillah, Allahu Akbar”. To be sacrificed and all bad characteristics to be taken away. So Ahle tawba (people of repentance), teaching us if you want to come into this bab ur Rahmah; the first nine days of that will be the bab ur Rahma and dressing. Then as soon as the ninth night, becomes a Lailatul Qadr, and it has its own dress of understanding. The Qadr comes, it changes the tajali. Now the second ten days of Ramadan is based on baab ul Maghferah (gate of forgiveness). If you came and made your Tawba, with a sincere tawba (repentance), that ya rabbi (my lord), let me to lose my thoughts, let me to lose my characteristics, let me too vanish and be nothing and to destroy all these bad characteristics. Allah (aj) takes us into the second oceans of power the second Qadr, which are the days of Maghferah (forgiveness). Alhamdullelah, within tonight or tomorrow night depending upon when people believe that they started their Ramadan., these are the oceans are maghfirah. It means who is Allah (aj)’s Rahmah (mercy)? It is Sayyidina Muhammad (saws). 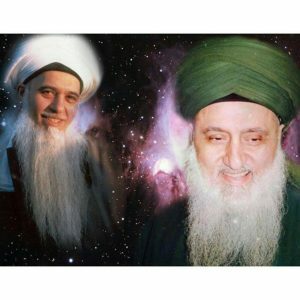 That first ocean of Power, Allah (aj) opens us to the presence of Sayyidina Muhammad (saws)’s light, Nur ul Muhammadi. That the Rahmahal Lil’alameen (Mercy to Creation). All of what Awliya Allah are teaching us that; “when they are oppressors to themselves. if they come to you Ya Rasolullah, that you pray for them for their forgiveness. That is the power of Ramadan. That Allah (aj) wants to dress us from these Qadrs (powers), He wants to give us these maqams (stations), these lights, and these darajats (levels), but most of all He wants us to be with Sayyidina Muhammad (saws). Otherwise what is the purpose of Allah (aj) giving all creation of Samawati wal Ard (heavens and earth), for Prophet (saws) to be alone. The greatness of the creation is the kingdom I give you (to prophet Muhammad (saws), that these are all inside your kingdom. But they have to be dressed by their darajats, dressed by these realities and Allah (aj) then is dressing and granting that mercy. 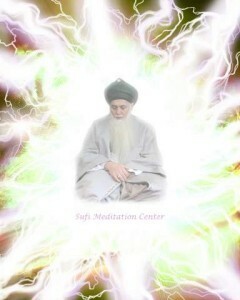 If you are been opened into the presence of Sayyidina Muhammad (saws), then the second power comes. And the second 10 days which are the days of forgiveness. 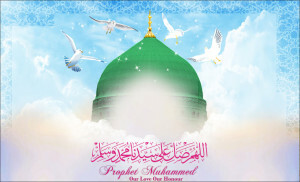 That through the fasting of the second 10 days, the Prophet (saws) is making intercession upon the soul. He is fixing all of its impurities, fixing all of its incorrectness. And asking Allah (aj) for forgiveness and asking Allah (aj) for forgiveness. And for the greatness of Sayyidina Muhammad (saws), no doubt in our hearts that, Allah (aj) accepting what Prophet (saws) is asking. Because this is very small, compared to what Prophet (saws) is in control of. But for us to come into that reality, it means that, keeping the honor of Islam and the ‘izzat (honor) of Ramadan, is showing the greatness of Sayyidina Muhammad (saws). All the world is astonished that, how these two billion people are fasting and they uphold the flag of their Prophet; they keep the honour of Sayyidina Muhammad (saws). Because they don’t know Allah (aj), but they see these Muhammadion محمديون, that how they are so strong. And how much Rahmah (mercy) they have that they fast these days and they accomplish these mercies. And this is Allah’s ni’mat (blessing) and this is Allah (aj)’s rahmah upon us. That for the love of Prophet (saws), Allah (aj) allows our souls to enter these realities and to be dressed by these realities. “The End (last 10 Days of Ramadan) is Freedom from Hell-fire. Last 10 Days becomes the third Qudra that is dressing that month, “`itqun min an naar.”, means freedom from hell-fire. If you have been dressed by rahmah, granted Allah (aj)’s maghferah, then Allah (aj) says, you are free from hell-fire. It means that the place that your souls was going to occupy in jahanum (hell-fire), it will be exchanged with your place in paradise. And that’s why then they call those are the nights of Qadr. When Prophet (saws) asked that in the last ten days of Ramadan, make itekaf. Why? So that you can be dressed by these qudrats (powers), blessed by these qudrat. Ahlel Ma’refa’s whole life is itekaf, their whole life is a life of constantly isolating themselves to enter into these oceans of power. But what Prophet (saws) wanted is that for all the ummat (nation of Prophet (saws), whose not taking the way of tafakkur (contemplation), and not taking the way of itekaf, at least the last ten days of Ramadan enter into that way of itekaf. Mawlana Shaykh describes, that the realities of itekaf, the way of tafakkur (contemplation), the way of muraqabah (meditation) is that Allah (aj) describes that it is like a seed. If you hold a date’s seed, we were eating the dates. If you look at the date’s seed, it is most miraculous thing that you can look at. 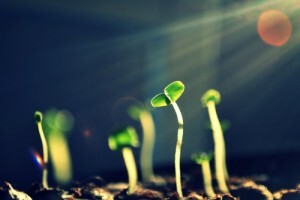 How Allah (aj) can open this amazingly hard seed, and from this seed a plant will appear and from that plant an entire tree with all its fruit, and may give thousands of fruits for its generation of its existence. And Allah (aj) says, is that date seed harder to open or your heart and the dressings and the blessings I want to put upon your soul. Allah (aj) said, “I created your body from the dirt”. Go back into yourself, plant yourself inside your heart, go into your heart. That is the planting of our seed. As soon as we plant within ourselves then the water of Zikr, the water of Salawat (praising) on Prophet (s) allows the fruit to begin to grow. If that fruit grows, it becomes a tree. If that tree grows, it gives fruit that everybody can eat from it, and be blessed from it and take its benefits from. That is the reality of Qadr. That is the reality of Ahle Tafakkur. When people are not understanding they don’t understand what Prophet (saws) was given. Why did he (saws) asked in Ramadan to make tafakkur and make itekaf? Because knowing the majority of people, they won’t do it in their life. But at least in this one state of sawm and fasting, take its maximum benefit and go within yourself. Plant the seed within yourself, water it and nourish it with zikrullah (remembrance of Allah) and salawat on Sayyidina Muhammad (saws). So that we can begin to feel its fruits, see its fruits, people to eat from its fruits. And that’s what Prophet (saws) wanted for us. Who are the Ahlul Qadr (People of Power)? When the people say that is there tafakkur in Islam? Yes, Itekaf of Ramadan! And the people of Qadr, their whole life is that reality. We tried to describe before but, when you put numbers people get confused. Ahlul Qadr, means when Allah (aj) dresses a servant. they are from the servants of tafakkur. They spent their whole lives planting their seeds, finding their errors, finding their mistakes, and going deep within their being; and keeping the company of mushaykh (guides) who are all Ahle Tafakkur. They are all the people of contemplation. That they are the people of Qadr, when they have been prepared and they have been dressed. And then Allah (aj) is going to give them Lailatul Qadr . What is the reality of Lailatul Qadr? It is that if Allah (aj) dresses that servant from the reality of Lailatul Qadr, their whole life is based on that reality. One of the things that people are not understanding is that when Allah (aj) gives, He (aj) never takes away. When Allah (aj) dresses that servant from the Lailatul Qadr, from whatever point; if they reached at ten years ago, they reached it fifteen years ago or they are going to reach it this year. As soon as the reach that a reality. 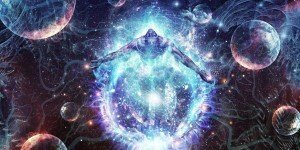 They are eternally dress by that reality. Allah (aj) doesn’t give a gift one year and say now never again you are going to see Lailatul Qadr? If He gives you the dress of Lailatul Qadr He doesn’t come the next year and say: no, no I am not giving it to you anymore. He is not like human beings. When Allah (Azza wa Jal) gives you the dress of the Night of Power means for the rest of your life, every day will be a dress of Lailatul Qadr. It means they are the servants of Qadir. They are dressed with a noble dress of light upon their souls. Allah has no time. From malakot (heavens) when the order comes that, that servant is going to reach my qudrat (power), that soul is going to be entered into the oceans of power, they never leave that ocean. They are always in a Lailatul Qadr. Allah (aj) wants us to understand the barakah (blessing) of these souls; is that if you take just one day of their understanding. Allah (aj) says that their one day of Lailatul Qadr is 1000 months. 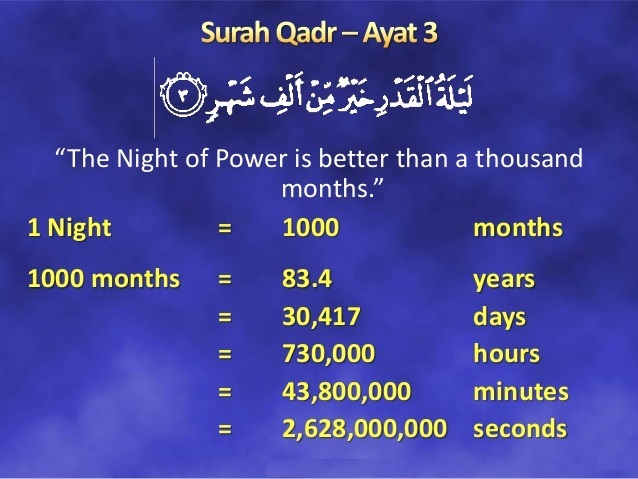 Lailatul Qadr, Allah (Azza wa Jal) now gives the formula for people who do not believe in what barakah is, is that this `abdul qadr (the servant of Power) who have been dressed by Lailatul Qadr, their day is like 30,000 of your (days) because 1,000 months. 1 Night is like 1,000 months! There are 30 days in a month, you multiply, it gives 30,000. It means there are 30,000 days. So you have to do 30,000 days to equal their one day. 1000 months equals in one day, 30,000 rewards. Forget about every day but just to understand for us that when Allah (aj) gives, He gives eternally. But the one day of Ahlul Qadr, Allah (aj) want us to understand their daraja (level). That when this Abdil Qadr, the servants of my oceans of power, they are like 30,000th of your days. For their one day of 5 Salat (prayer), you have to do 30,000 five salats, to equal them. It means you have to make 150,000 salat (prayer) to equal their one day of five prayer. Then when people don’t understand that why you have to be with these people for barakah (blessing). When people ask you, “Why barakah (blessing)? Why the shaykh? Why this?” Allah (aj) is giving the formula, the numeric value of that barakah (blessing) in Holy Quran that: their one day is like 30,000 of your days. This is from Allah (Azza wa Jal) because 30,000 times 1,000 months. Allah says this is 30,000 I have given them as a multiplier. Means they make one salah and you have to make 150,000 salahs to equal their one salah. This is for the people who don’t want to be with them [Ahlul Qadr]. That you don’t see what you’re missing from accompanying them; that you have to do 150 thousand prayers. And the servant who does accompany them will be dressed by them. So when you pray one set of prayers with them it’s like 150 thousand salat have been given to you. This is from Allah (aj). For the servant who doesn’t believe in these Ahlel Qadr; Alalh (aj) is describing that you have to spend thirty thousand dollars to equal the one dollar you gave to this Abdil Qadr عبد القدر. This is Allah’s formula not ours. And if you did give them one dollar, what is the reward? Thirty thousand dollars. Because they are the multiples of 30,000. If you give them one dollar in that day, Allah (aj) describes by that formula, it is as if you’ve been given a reward of thirty thousand dollars. If you make one Allah, you may sit with them for one time and say Allah. The one who is not with them, makes 30,000 Allahs, to equal their one Allah. It is the formula, Allah (aj) says, Salamun hiya hata matla’ il fajr. They have Salaam (peace) till fajr. It means their one day, the “salaam (peace) all the way to Fajr”, is like a thousand months. That is just their one day that I am giving them 30,000 equivalent. So for their one Allah, you have to make 30,000 Allah. And the one who accompanies them why they have barakah? Because as soon as they say one Allah in their presence, Allah (aj) dresses them with 30,000 Allah. The people who are with these Abdil Qadr, are dressed by what Allah (Azza wa Jal) is dressing them! The Abdil Qadr and the servants of the ocean of Power, they don’t keep what comes to them. They are like a sun, they emanating a light and they don’t make a distinction, whoever sits upon their beach, they dress them from their sun. Whom Allah sends on their beach, they will be dressed and their souls will be dressed [with light]. Whatever Allah (aj) is dressing upon their [Abdul Qadr’s] souls, they magnify out towards creation. As this physical dunya sun, it doesn’t distinguish. You sit on the beach, you will be dressed by the sun. That is imitated Sun. The Suns of Qadr, means the souls whom Allah (aj) dresses from His Qadr, they give more generously than that Sun. If you eat one loqma (bite) with them one bite with them, it is like 30,000. If you pray one salat with them, it is like 30,000. If you give one dollar to them, like 30,000. That is Lailatul Qadr. Allah (Azza wa Jal) even gives a darajat (station) within their ranks, that not only 30,000 but I have some that their one day is like 50,000 of your years. What kind of wali is that, that his one day [is 50,000 years]? Because the Malayikah (angels) and the Ruh are constantly coming to them with Allah’s Amr. Atiullah wa ati ar-rasula wa ulul amri minkum. The darajats (levels ) of these Ibadil Qadr عباد القدر(servants of Power), and these Awliya Allah (saints) are infinite in their understanding. Allah (aj) gives another dalil in Quran, that one day is like fifty thousand of your years. When the angels and the Roh are coming. The angels and the Roh. When Allah (aj) describing that when I am dressing them from the Qadr, means that every angel and the reality of, what that roh stands for, with “every order of mine” is dressing upon their soul.It means every Amr, every order from Allah (aj) dresses their souls. 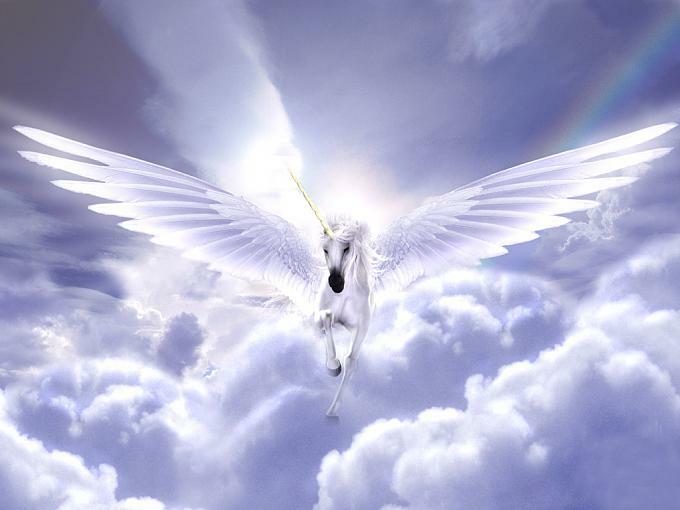 It means every angelic reality dresses their soul from Bahrul Qudra. 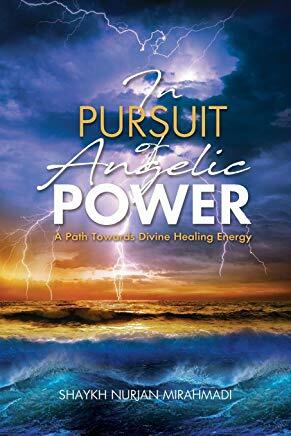 The angels are coming in to that Bahrul Qudrah (ocean of Power), dressing that ocean. 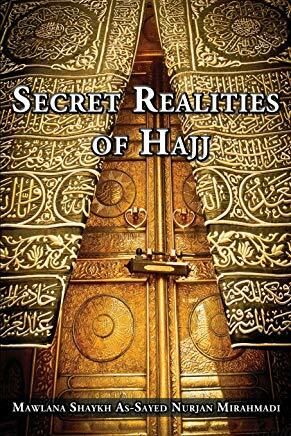 The reality of the Ruh coming into the ocean and dressing from that ocean, means Allah (Azza wa Jal) is describing that: those souls are dipped and swimming in that Ocean of Power. Whether their day is multiplied by 30,000 or their day is 50,000 of your years. This is what gives their souls majesty, and qudrat. These are all the darajats (levels) and realities of Lailatul Qadr. The people who have been dressed by Lailatul Qadr is now an eternal and noble gift from Allah (Azza wa Jal) that your soul is swimming in that ocean. Everything that you do is dressed by that ocean. That is why if you eat with them one bite, means think of everything that we have been taught. That if you eat the food of a generous person each bite has 300 Malayikah and those Malayikah are a shifa` and healing. But if that person is from `abdul qadr from the servants of the Ocean of Power, that is 30,000 times 300. What was the number? 9,000,000! Nine Million angels for every luqma and bite that you eat in their presence. That is why the students [of Servants of Power] have barakah (blessing), that is why their lives have barakah. That is why many of their mushkilat and difficulties and illnesses have been taken away. Many of their opening and rizq have been granted to them, because Allah (Azza wa Jal) is giving the formula that these numbers are significantly multiplied. Prophet (saws) makes it even sweeter, that these people of qadr are also the people of tafakkur. One hour Prophet (sallallahu alayhi wa sallam) describes of their tafakkur is 70 years of your worship. Prophet (saws) says, if you make one hour of tafakkur, because these are the people of tafakkur (contemplation); if you make one hour of tafakkur, it’s like 70 years of worship for somebody else. It means now Prophet (saws) has sweeten the deal. Allah (aj) is saying 83 eighty-three years (1000 months) for the whole day. Prophet said that one hour of tafakkur (contemplation) of these Ahlel tafakkur, is like 70 years of your worship. One hour! There are 24 hours in a day. Prophet (sallallahu alayhi wa sallam) is now teaching that 1,700 years for every one day of their ibadah. Means you have to live 1,700 years to equal one day of their worshipness. Because their entire day is worshipness, whether they are sleeping, praying or eating, Allah (Azza wa Jal) accepted that everything they do is an ibadah. So 1,700 years for one of their days. Their one day is 1700 years. It means if they make salawat, allahumma salli `ala sayyidina Muhammad wa `ala aali Sayyidina Muhammad sallallahu alayhi wa sallam, you have to make that one salawaat 1,700 years to equal this `abdul qadr, these servants that Allah (Azza wa Jal) dressed from His Power! 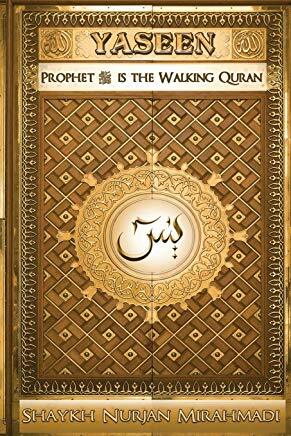 Prophet (saws) now increased that barakah (blessing) and increased that reality. That one day with them like 1700 years. If you made one prayer with them, Prophet (saws) is teaching that you have to pray 1700 years; if Allah gives you seventeen thousands years, to be one salat (prayer) with these Ahlul Qadr and Ahlul Tafakkur. You can not be Ahlul Qadr without tafakkur. That is why Prophet (saws) said, then make i’tekaf (seclusion). You want to reach these realities, then slow down your running, slow your destruction down, go back to what Allah (aj) wants you is in the heart. Because in the heart you make your tafakkur, and these realities open. We pray that Allah (Azza wa Jal) grant us to reach towards these Oceans of Power. We pray that Mawlana Shaykh gives more and more understanding and dress us from Lailatul Qadr, dress us from realities of Holy Quran, dress us from the love of Sayyidina Muhammad (saws), and from light of awliya Allah (saints). Subhanaka rabbil ‘izzati ‘ama yasifoon. Wa salaamun ‘alal Mursaleen. Wal Hamdullilahi Rabbil ‘alameen. Bi hurmati Muhammadil Mustafa, wa bi sir Suratul Fatiha.